Diabetes affects about 26 million children and adults in the United States — over 8% of the population. However, diabetes does not always have symptoms, so whether you’ve been diagnosed with it or not, it’s important to visit the doctor regularly. Dr. 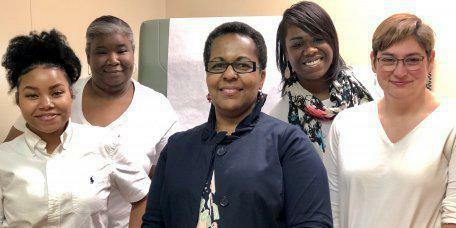 Crystal Brown in Fort Valley, Georgia, is an experienced, compassionate family medicine physician who offers expert diagnosis and treatment of prediabetes and diabetes. To learn more, call Brown Family Practice or schedule an appointment online. Diabetes is a disease in which your blood sugar levels are too high. It happens when your body doesn’t make enough insulin or doesn’t respond well to it, which causes issues because insulin is the hormone that gets sugar from your blood to your body. Type 1 diabetes affects 5% of those with diabetes. It used to be known as juvenile diabetes, though it can affect adults. Type 1 diabetes is caused by an autoimmune disease in which the body attacks the pancreas so that it’s unable to produce insulin. Also called adult-onset diabetes, Type 2 diabetes is the most common form of diabetes in which the pancreas usually produces enough insulin, but your body can’t use it effectively. Risk of type 2 diabetes increases with age, obesity, and family history. When your blood sugar levels are higher than normal, but not high enough to be diagnosed with diabetes, you have prediabetes. There are ways to prevent or delay the diagnosis of prediabetes, usually by losing weight and daily exercise. Gestational diabetes is when pregnant women have high levels of blood sugar during their later stages of pregnancy. It affects 18% of pregnancies in the United States and doesn’t cause congenital disabilities, but it can affect the baby's glucose levels and result in higher birth weights. The signs and symptoms of diabetes can be very mild. Especially with type 2 diabetes, you may not experience any symptoms until the disease has caused other issues. Because these symptoms may go unnoticed, or may not appear at all, it’s important to be checked for diabetes during your physical exam. If not treated properly, diabetes can lead to heart disease, stroke, and kidney failure, and can also cause permanent eye, foot, skin, and bone damage. Depending on the type of diabetes, treatment may include lifestyle changes, insulin injections, or glucose level monitoring. Dr. Brown can determine the diabetes treatment plan that works best for you. To learn more about treatments or to get tested for diabetes, call the office or schedule an appointment online.